Coastal Design and Landscape, Inc. - Serving Port St. Joe, Cape San Blas, St. Joe Beach, Mexico Beach and surrounding areas. 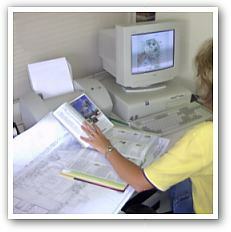 Our full time landscape architect has over 10 years of experience designing both residential and commercial projects. We have extensive knowledge with natives and ornamentals. Our designs are unique and functional, yet express the client’s style. Most designs include irrigation layout, landscape planting layout including recommended vegetation, hardscapes design including materials & placement (drives, walks, fencing, patios, etc.) & accent lighting as desired. Our design and sales team are knowledgeable in creating solutions which best fit the client’s personal preference, site requirements and budget. Our installation crew is professional, detail oriented and customer focused. As a reliable organization with many years of installing landscape and irrigation systems, we ensure that each customer is satisfied prior to completing a job. No project is too large or small. 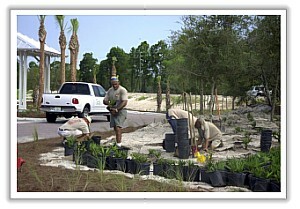 At Coastal Design & Landscape we offer all services to ensure a well maintained and healthy landscape. 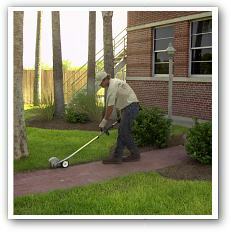 We have dedicated maintenance equipment and experienced crews. Our service programs are personalized to meet our client’s needs.